Size M30/ P-1.5 (for ZX-6R / ZX-10R, Ninja300 etc) is available in your choice of ROUND or HEX style. 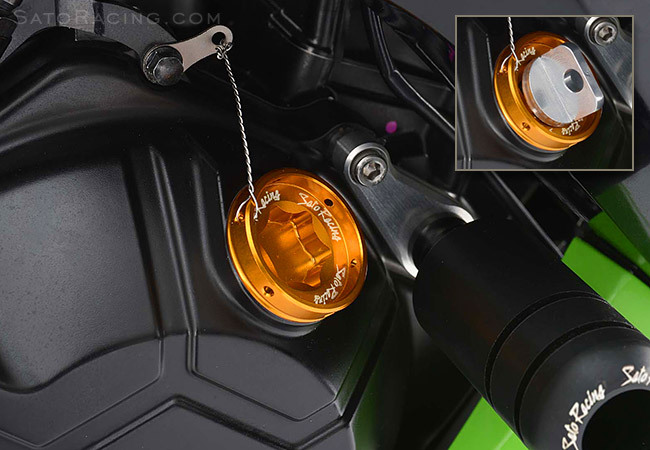 Size M20/ P-1.5 (for Ninja650 / Z1000, etc) is also available, in ROUND style only. Size M18 (for Z125 Pro) will also be available soon, in ROUND style with a Gold anodized finish. 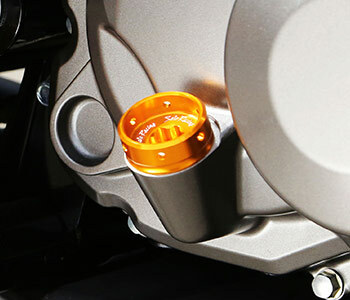 An optional Quick Wrench [#OFCAP-TOOL] is avalable for this Oil Cap. 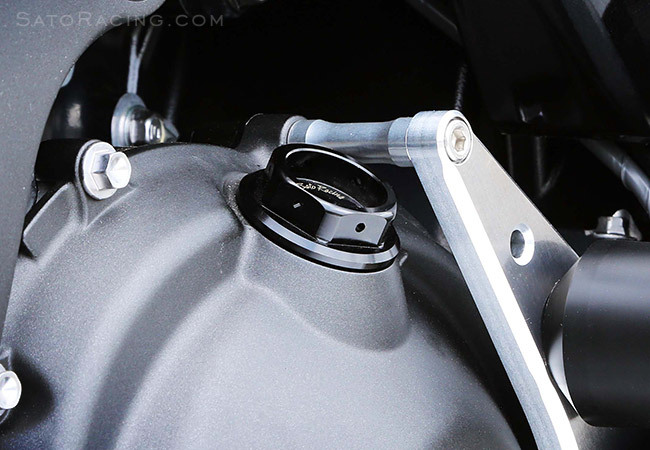 Checking your oil is a breeze with this anodized billet aluminum quick-wrench specially designed to fit our ROUND style Oil Filler Cap. Quick-wrench part# OFCAP-TOOLKR fits Oil Filler Cap part# K-OFCAP-R. Quick-wrench part# OFCAP-TOOL fits Oil Filler Cap part# H-OFCAP-R and K-OFCAP2-RG. 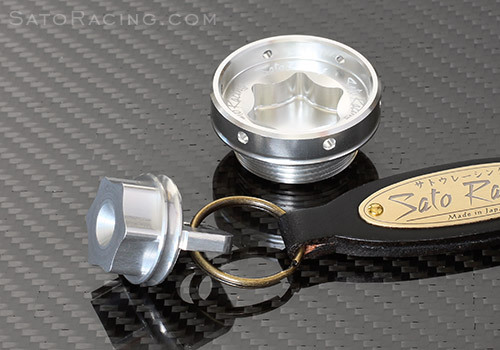 (especially if it is a Sato Racing Key Ring). 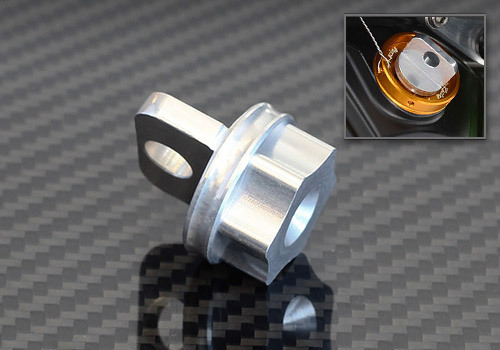 This bendable titanium plate provides an anchor point to attach a safety wire, to keep your Oil Filler Cap from inadvertently coming loose or disappearing.